New Jersey DGE (Division of Gaming Enforcement) Director David Rebuck has issued a director’s bulletin regarding the criminal and civil liability and future eligibility of online-gambling affiliates who have chosen to offer links to offshore sites still accepting play from New Jersey-based players. The latest opinion from Rebuck is largely a clarification of ongoing legal concerns that arose following the New Jersey DGE’s threat of action against a handful of US-based online affiliates last year. In his most recent opinion, Rebuck stated that affiliates who drop links to any and all offshore sites that still offer services to New Jersey residents will be considered in compliance with New Jersey law, as long as that action is taken within 150 days of the opinion’s June 4th, 2015 publication. That compliance regarding marketing to New Jersey-based players will be considered relative to both New Jersey’s own state gambling regulations and to any overriding concerns about the 2006, federal-level UIGEA (Unlawful International Gambling Enforcement Act). The UIGEA’s relevance regarding possible New Jersey DGE enforcement actions was essentially dismissed by Rebuck within the opinion. The dismissal of UIGEA concerns affirms many operators’ beliefs that the online gambling in general and online poker in particular remained a legal gray area despite the 2006 UIGEA’s passage. Rebuck’s opinion appears to have been written as a public response to an inquiry from at least one US-based affiliate who was targeted by a New Jersey DGE cease-and-desist order over a year ago. In April of 2014, the New Jersey DGE threatened a half dozen American affiliates with civil and criminal sanctions should they continue advertising on behalf of several offshore, US-facing sites. At least six such US-based affiliate sites were targeted. Five of the six affiliates soon self-identified on industry forums and acknowledged receiving the C&D, including RaketheRake.com, CardsChat.com, PokerSource.com, RakeBrain.com and Pokersites.com. Soon after, in a follow-up, several of the offshore gambling sites themselves withdrew their services from the New Jersey market. The original New Jersey DGE notice mentioned Bovada, the Merge Gaming Network and two Winning Poker Network sites, America’s Card Room and Black Chip Poker. By the end of May, 2014, Merge and the WPN had left New Jersey completely and Bovada had stopped taking new deposits, allowing only pre-existing NJ players to play through or withdraw their balances. Even the tiny Equity Poker Network decided to stop serving the Jersey market, despite not being listed. Today’s reality is that only a tiny handful of offshore, unlicensed operators continue accepting action from New Jersey. Though the New Jersey DGE acknowledged sending its cease-and-desist notices to six US-based affiliates, it’s highly likely that the agency researched hundreds or dozens of affiliates, US-based and international alike. That leads to another part of the latest Rebuck opinion. The latest from Rebuck and the DGE also noted that for those affiliates already put on notice with last year’s C&D, those affiliates must also file a notarized certificate with the DGE affirming that their site or sites are clear of links to unlicensed operators. The DGE also plans to share information regarding noncompliant affiliate with other regulatory agencies, as a way of beefing up the latest opinion’s threats. At the conclusion of the one hundred and fifty (150) day compliance deadline, the Division will conduct a review of all licensed or registered affiliates and may take enforcement action against non-compliant affiliates. In addition, these non-compliant affiliates and their principals, officers and directors, as well as any future applicants, will be deemed unsuitable for licensure or registration by the Division going forward. To be clear, the negative suitability assessment will attach to each principal owner, officer and director regardless of any changes in corporate ownership and structure. 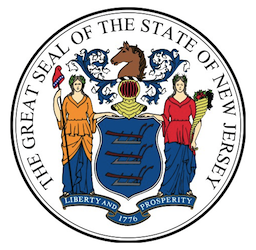 Moreover, the Division will advise all other gaming regulatory agencies which affiliates, and their principal owners, officers and directors, have not complied with New Jersey law and identify each as unsuitable for licensure or registration in New Jersey.